Having something delicious is definitely part of adventures for travelers and travel blog readers. Not only exhibitions, it is a great place for photographers and gourmets because the architecture is very interesting and restaurants & cafes are… fantastic! The main restaurant is Brasserie Paul Bocuse Le Musee. You possibly have heard of this world famous chef. You can try it here!! 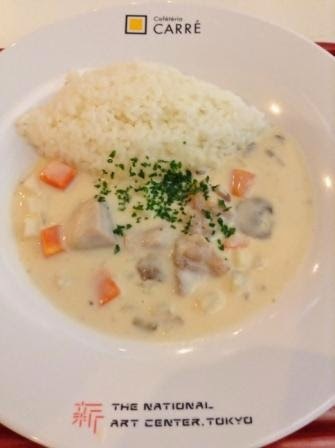 Well, the most important thing in a restaurant is the food and its tastes, of course! Butter is a very common ingredient, but it can make people feel so happy! 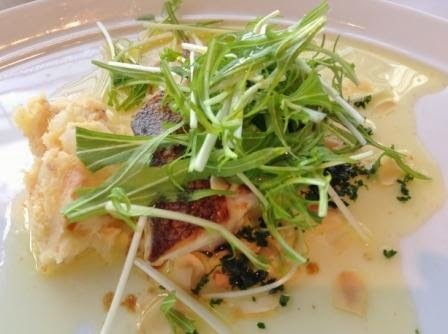 Paul Bocuse has been choosing high-quality ingredients. I remember the amazing fermented butters they offered before. 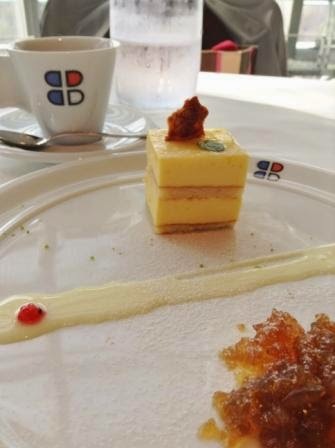 People think of creme brulee when it comes to Paul Bocuse’s desserts, but how about choosing a new dish? The citrus taste goes well with a cup of brown tea. If you want something different from others, or you are a tea lover like me, I definitely recommend this. 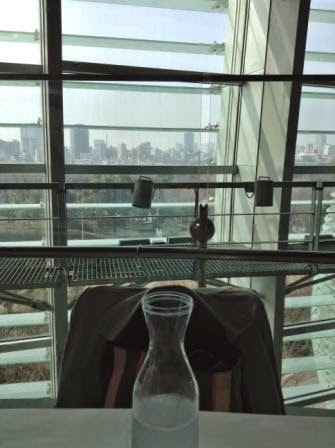 I just say in this post that the views from the restaurant are so open and fascinating. More photos of the architecture of the museum building, see this. And I’ll talk about the views later in another post. These days, many restaurants are looking for their way to cook cheap. Some offer foods which are smaller than ever at the same price, others give up the quality. 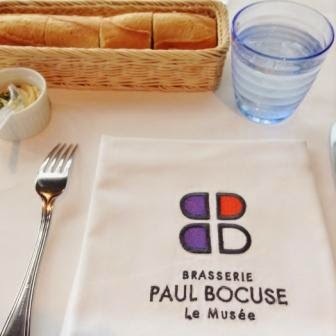 But I believe that Paul Bocuse Le Musee in National Art Center keeps its quality and it’s still reasonable. In short, it was amazing! In case Paul Bocuse is too crowded to enter? If you don’t feel like having authentic French? You have other good choices, too! The museum has 4 floors including an underground floor. 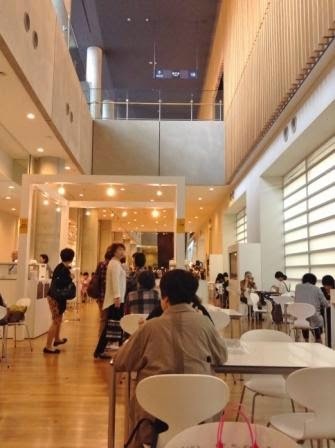 There is a fascinating cafe in the 2nd floor. It is Salon de The Rond that I uploaded last year. I love the cake set there, but they offer some food menus such as sandwich plates, etc. Another choice is going to the underground floor. It doesn’t look like an underground floor because this building has only one ceiling. There is a very, very fashionable souvenir shop. (Unfortunately I can’t share it with you because they have no-photo policy. I think the items are made by designers and there is copy right problems.) Passing through the interesting goods, there is this Cafeteria Carre. It is not a place for a luxury meal, but the atmosphere is very good with fashionable and light spaces. If you want to go out, Roppongi is not a place to starve. The streets toward National Art Center is lined with awesome restaurants and cafes. A brand new Hawaiian pancake cafe opened just in front of the museum, (the yellow cafe in this photo,) and there are also a retro-modern cafe, (this kind of cafes tend to offer super bitter coffee,) outstanding Chinese cuisines, brilliant Japanese restaurants, and so on. 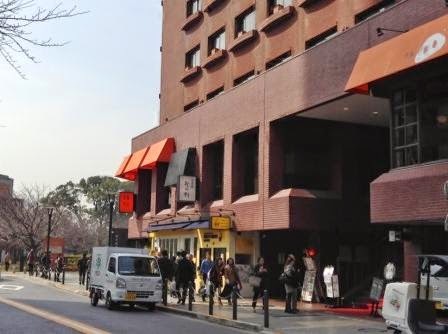 The Japanese restaurant in the right in this photo offers a buffet lunch which is only 1000 yen and some set menus. If you want something Japanese, I cannot say anything but it’s great. If you don’t like adventures, – I know when you are traveling abroad, you have some worries as well as excitement, especially in languages – you can find a worldwide Subway along the broad street near here. But I know that you want to travel like a local, too. Let’s go out yourself and you’ll find precious memories that are never same to others! Opening Hours: 10:00 – 18:00 (Fridays 10:00 – 20:00) Last admission is 30 minutes before closing. How to get to Roppongi – See this post.